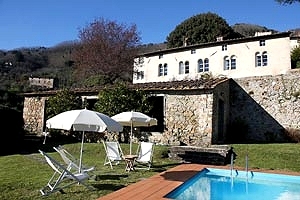 The elegant villa dating from the late 14th century stands in panoramic position on the hills that surround Lucca, just a few dozen kilometres from the famous Versilia seaside resorts Viareggio and Forte dei Marmi. 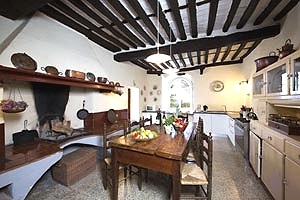 Versilia is a region in north-western Tuscany that owes its name to the homonymous river that flows through it. 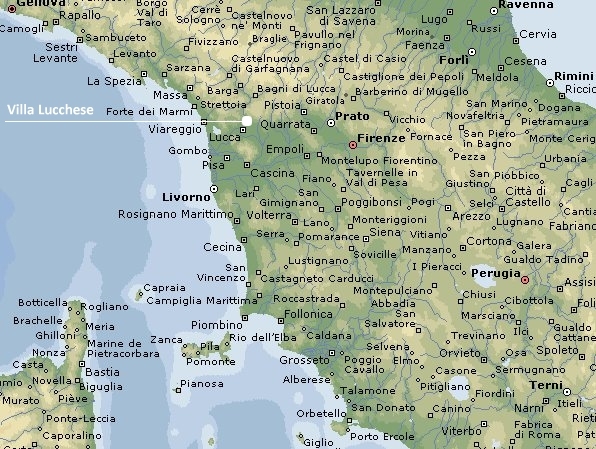 In origin it consisted only of the municipalities of Pietrasanta, Forte dei Marmi, Seravezza and Stazzema (the so-called "historical Versilia"). 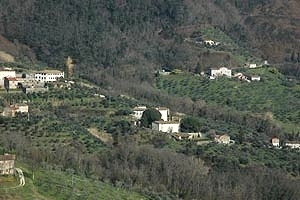 The municipalities of Camaiore, Massarosa and Viareggio have been part of Versilia for almost a century (and with the previously listed towns form the so-called "modern Versilia"). 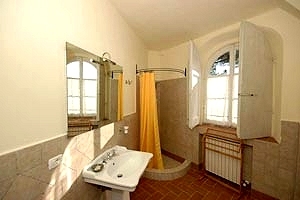 Versilia gave birth to various important personalities, including the poet Giosuè Carducci, the inventor of the internal combustion engine Eugenio Barsanti and the pianist Cesare Galeotti. 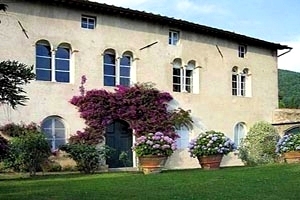 In the early 20th century the Italian writer and poet Gabriele D'Annunzio built the famous Villa La Versiliana, where he lived with Eleonora Duse and wrote the most celebrated verses of Alcyone. 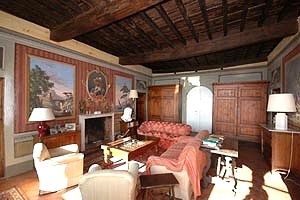 Nowadays the towns of Versilia, especially Viareggio and Forte dei Marmi, are renowned for their beaches and trendy discos and pubs frequented by culture, fashion and show business celebrities. 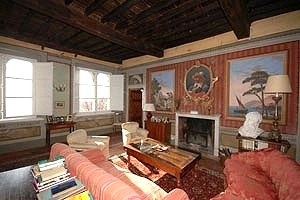 In origin the villa was the hunting house of Paolo Guinigi, who ruled Lucca in the first half of the 15th century; then it has been renovated with an eye to preserving its original architectural elements and nowadays it still features terracotta-tiled floors, frescoed walls and beamed ceilings. 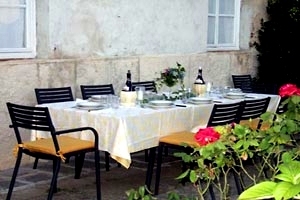 In the garden that surrounds the building are the private swimming pool (10x5 m; depth: 1.50-3 m), the lemon house converted into a covered terrace, a loggia furnished for guests to have their meals in the open air, a table-tennis table and the barbecue equipment. 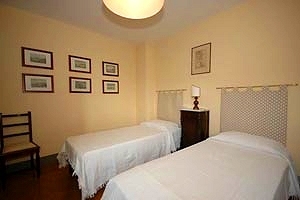 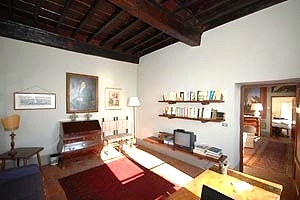 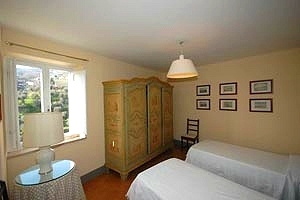 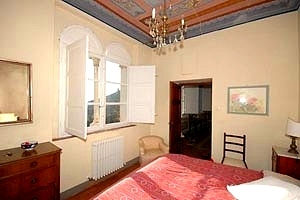 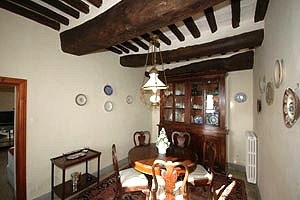 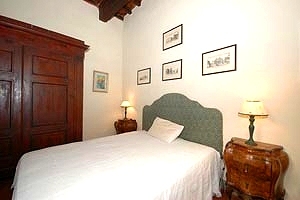 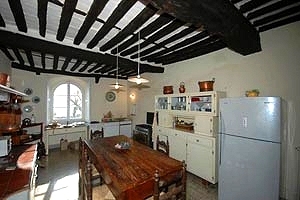 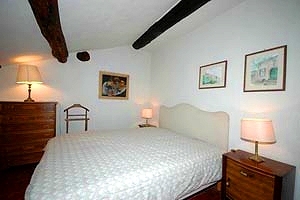 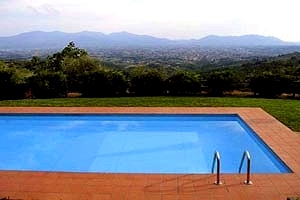 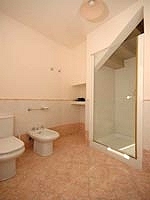 The villa is just a few kilometres from the town of Lucca. 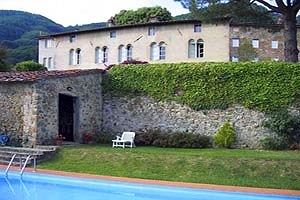 The beaches of Viareggio and Forte dei Marmi, as well as the picturesque villages of Garfagnana and important cities of art, such as Volterra, Pisa, San Gimignano and Florence, are easily reached by car. 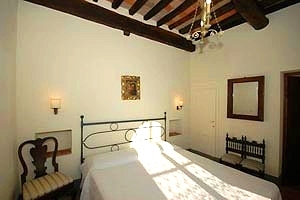 The villa can accommodate 10 guests in 1 twin bedroom and 4 double bedrooms, and has 4 bathrooms and 1 half bathroom. 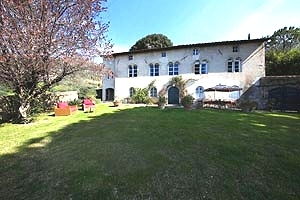 On the upper ground floor are the entry hall, the TV room, a living room with fireplace and direct access to the outdoors, two double bedrooms (one with an ensuite bathroom with bathtub) and a bathroom with shower. 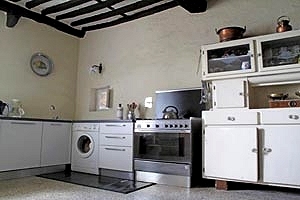 The lower ground floor (which is accessed also from the garden) composes of kitchen with an ancient wood-burning oven and a fireplace, dining room and a double bedroom with ensuite bathroom with shower. 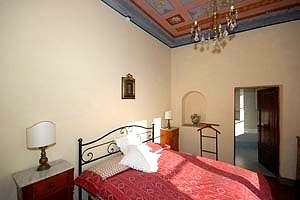 The first floor (west wing) consists of a twin bedroom and a bathroom with shower; four steps lead to a mansarded double bedroom, whereas on the mezzanine floor (east wing) is a half bathroom. 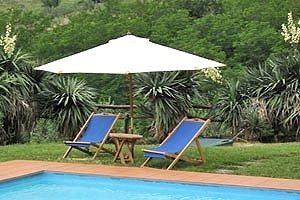 The villa comes with swimming pool, barbecue equipment, table-tennis table, TV set, Internet connection, working fireplace, freezer, microwave oven, oven, toaster, American style coffee maker, dishwasher, washing machine, cot bed and private car parking space. 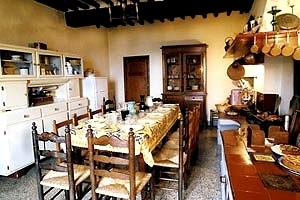 A café, a restaurant, a chemist's and a food shop are in Matraia (2 km). 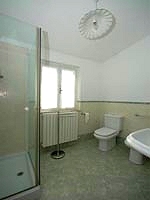 Other shops and services of any kind are in Marlia (6 km).